If you’re not familiar with matcha—an antioxidant-powered powder that enjoys superfood status—you might also be surprised to learn it’s not just for sipping. Matcha can be used in a variety of ways from baking to seasoning, and its flavor is delicate but layered, which plays well with both sweet and savory dishes. Here’s a closer look at this beloved ancient elixir turned current food obsession. It may be a regular fixture on your local coffee shop’s menu, but matcha got its start thousands of years ago in Japan. Once a favorite among samurai warriors and Zen Buddhist monks alike, this finely ground green tea has evolved into a trending superfood. The word matcha means “powdered tea.” It differs from green tea in that green tea is prepared by infusing leaves into hot water before discarding them. Matcha, however, involves consuming the green tea leaves in a powdered form that dissolves in water. Also, matcha is processed differently. Twenty days before harvesting, the green tea leaves used for matcha are shaded from direct sunlight to increase the levels of chlorophyll (giving it a fabulous green color). It’s traditionally mixed into hot (not boiling) water and whisked using a bamboo brush until it froths. Low in calories (only about 10 per serving) matcha delivers antioxidants (called polyphenols) along with key vitamins and minerals, including vitamin C, calcium, and dietary fiber. Didn’t know there were two types of matcha to choose from? It’s a common assumption to consider all matcha as equal, but there are some key differences between the two. 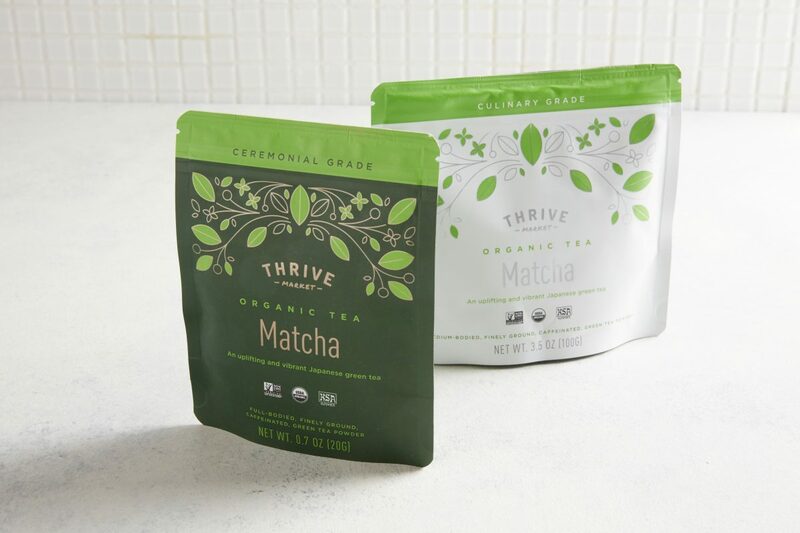 The highest quality matcha available, ceremonial-grade matcha is meant to be enjoyed on its own. This premium powders boasts a vibrant color and delicate flavor and is very finely ground. Culinary-grade matcha is designed to be mixed with other ingredients, making it ideal for baking, adding to smoothies, sprinkling over popcorn, or adding to savory dishes. There’s no such thing as too much matcha. Go green with these brightly hued recipes. 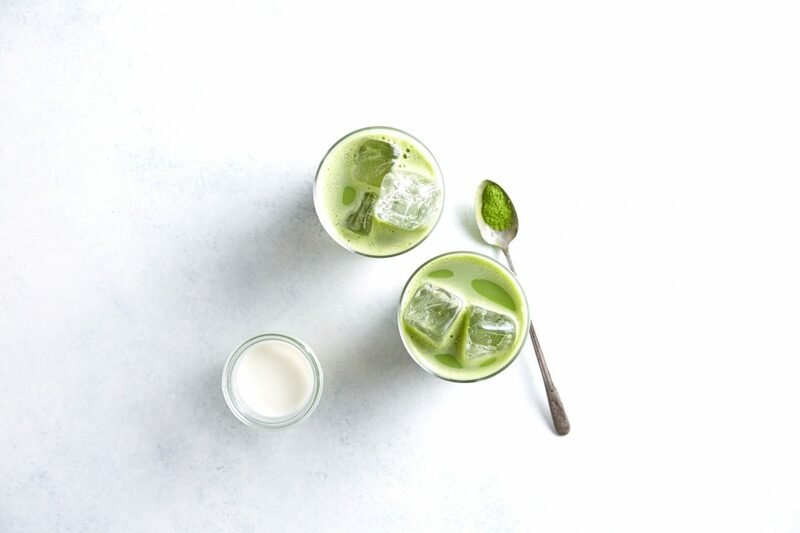 Sip your superfoods with this refreshing green brew of coconut milk, vibrant matcha powder, raw honey, and coconut oil. Need a boost? Just roll with these supercharged morsels of medjool dates, raw almonds, matcha powder, shredded coconut, and raw cashews. This vegan favorite pairs mild soba noodles with fiery tofu nuggets and tops it off with a creamy matcha sauce made with matcha powder and raw cashews. Give this Southern sipper a Japanese twist by adding matcha to the simple syrup and mixing with bourbon, fresh mint, tonic, and crushed ice. What’s not to like about this unique trio of vegan salted caramel sauce, matcha, and almond milk served over ice? It makes a unique and refreshing sweet treat. Give regular sugar cookies an upgrade with matcha and macadamia nuts. You won’t believe this recipe is gluten-free! Go easy on the caffeine and heavy on the antioxidants with this comforting combo of matcha, coconut oil, grass-fed gelatin, coconut milk, and vanilla extract. Greet the morning with moringa that’s blended with unsweetened hemp milk, dates, matcha powder, chlorella powder, and vanilla extract. The perfect texture of crispy and chewy, these gluten-free, Paleo-friendly cookies are a breeze to whip up using egg whites, raw honey, vanilla extract, sea salt, coconut chips, and matcha. No need to fire up the oven. This raw, frozen dessert layers a sweet coconut milk matcha “ice cream” over a crust of raw almonds, coconut oil, raw honey, and sea salt. Our take on this Japanese favorite dips grissini or stick pretzels into matcha white chocolate and drizzles dark chocolate over the top for a fun and festive snack. Serve it for breakfast or dessert, this make-ahead recipe is equal parts superfoods and sweetness with almond milk, chia seeds, maple syrup, and matcha powder. This non-dairy treat shakes up a vibrant mix of matcha, maca powder, vanilla extract, lemon zest, raw honey, and almond milk.